January 6th will always be remembered by Sierra Leoneans old enough to have experienced the worst forms of brutality, that humans are capable of inflicting on their own. 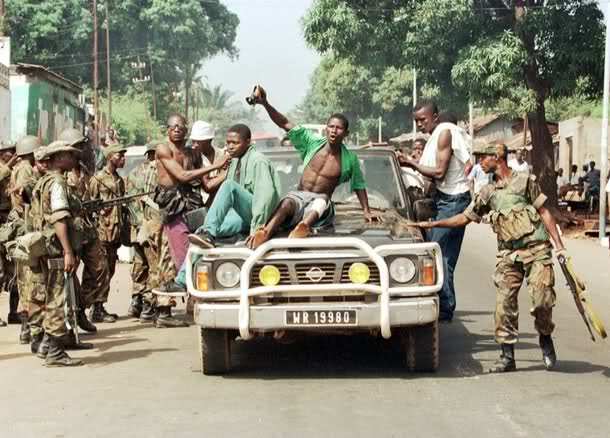 For it was on the 6th January 1999, that rebels made up of Foday Sankoh’s Revolutionary United Front (RUF) and government soldiers – under the command of Major Johnny Paul Koroma – known as the AFRC, over-ran the country’s capital Freetown, killing over a thousand people. They burned down hundreds of properties, captured State House and other government institutions and installations, including the radio station. Fifteen years on, the people of Sierra Leone are still waiting for the government of Sierra Leone to declare January 6 a Memorial Day, recognised by all faiths. The people of Sierra Leone are also waiting for the unveiling of a memorial monument, which will commemorate the killing and destruction that took place on that day. There was no official event in remembrance of 6th of January 1999 yesterday, but president Koroma summoned senior representatives of the State to State House, to show who is in charge of running the country. The president has had a difficult time asserting his authority, since his re-election last year, as ministers sensing an impending power vacuum within the ruling APC party slug it out. 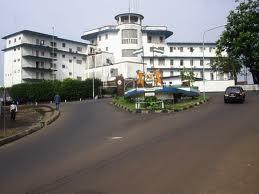 State House sources say that president Koroma will shortly reshuffle his cabinet. He is hoping that this shake-up may bring some stability in his government, which is fast losing its sense of purpose and direction. But will this ‘new approach’ breed a more authoritarian presidency that will sideline the country’s constitution and the will of parliament? He said that he will continuously engage with various institutions that are responsible for maintaining law and order in the country, as well as churches, mosques and civil society groups. Analysts believe that yesterday’s meeting was more than symbolic, as it shows that the president has started to build his new ‘network of monitors’ he promised in his New Year’s speech. It is not clear what the purpose and objectives of this new network of monitors are, but what is certain is that the president is ditching some of his old political networks, in order to strengthen and reassert his declining authority. 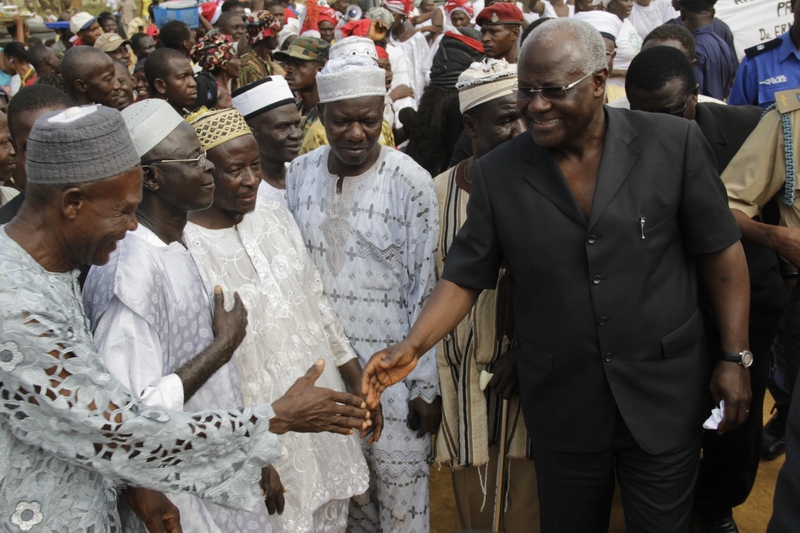 According to Koroma; “We shall engage more to build networks of monitors all over the country; we shall engage more to strengthen law and order everywhere; we shall engage more to sustain our culture of tolerance, to entrench civility, and to bolster effective implementation of the Agenda for Prosperity. The president has got only four years left in office to implement his Agenda for Prosperity. Yet his overriding concern is the erosion of his authority, exacerbated by his poor relationship with the vice president. This new network of monitors appears to be comprised of ‘a cross-section of cabinet ministers, members of the security sector, the leadership of parliament, the Chief Justice, Mayors and Chairmen of councils’. President Koroma also underlined the need to continue to improve on the targets set by government in the implementation and commissioning of projects; roads, electricity, health and educational sectors as well as the private sector. “We have started the journey to become a middle-income country and everyday now counts with respect to the efforts we have made towards achieving a middle income status in the decades ahead”, said the president. He urged all and sundry to scale up efforts in fighting recklessness and minimizing corruption. He said that government has put in place structures to get the job done. But cynics would ask: Where are the structures and systems for enforcement and monitoring? It is not clear whether vice president Sam Sumana was at the meeting.